In the 1970’s Wegner designed a range of elegant modernist furniture using supporting frames of flat steel for Johannes Hansen. 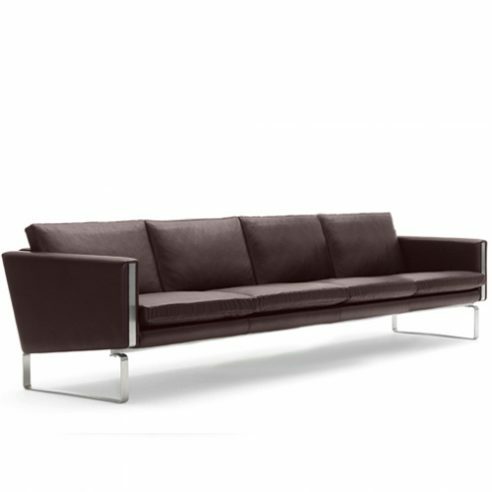 The sofa series was produced in relatively few numbers and was re-introduced by Carl Hansen & Son in 2008 on the occasion of the companies 100th anniversary including the four seat model numbered CH104. In designing the sofa group and arm chair for Johannes Hansen, Wegner demonstrated his ability to work in flat steel sections supporting upholstery built around a frame in solid beech.